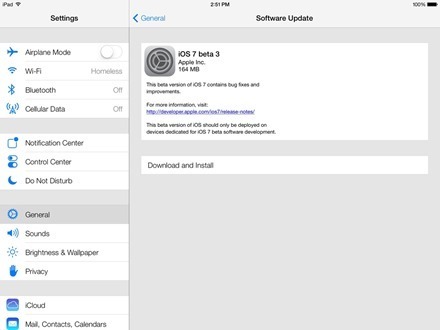 Apple has released iOS 7 beta 3 for the iPad today for registered iOS developers. I’ve only had the new beta installed for a short while and have not had a chance to take a major look around yet. If I spot any interesting changes I’ll share them here of course. For those of you who are developers or registered testers, happy downloading.